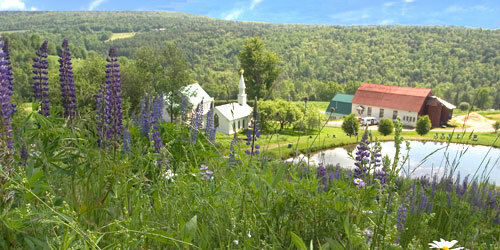 Vermont's historic homes and sites include residences of writers and one U.S. president, natural history museums, battlefields of the American Revolution; and many homes that preserve and honor the state's diverse history as independent and self-sufficient farmers, inventors, and citizen politicians. These historic places make a great vacation exploration adults and kids who love American history. Green Mountain Coffee has a noble history and sustainable future preserving what is good and restoring what needs restoring. 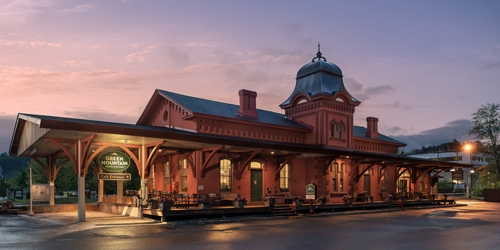 Make a whistle stop at this beautiful visitor center housed in a Victorian Italianate train station built in 1875 in Waterbury and restored to its 19th century glory. Green Mountain supports the communities where its coffee is grown and harvested and is vocal about its commitment to source to cup authenticity. The gift shop has bags of great Green Mountain Coffee, Keurig brewers and accessories, artisan handicrafts, and unique items from coffee growing communities. There are interactive displays and videos and a bountiful cafe offering a daily variety of free coffee samples, specialty drinks, locally made baked goods and light fare. Dog Mountain is on 150 acres on a private mountaintop spot in St. Johnsbury. The grounds are always open to people and their dogs. Stephen Huneck and his wife, Gwen, bought the property in 1995 and turned the barn into and art studio. The Dog Chapel soon followed, in 2000. The unspoiled haven is covered with hiking trails and dog ponds. Wildflowers abound in the summer and snow-shoeing is a favorite activity in the winter. On Dog Mountain, dogs are free to run, play, swim, and meet other dogs. This Georgian Revival mansion was built in 1905 in the scenic village of Manchester by Robert Lincoln, the only child of Abraham and Mary Todd Lincoln to survive to adulthood. Robert Lincoln was chairman of the Pullman Company, the largest manufacturing corporation at the turn of the 20th century. Hildene was home to only Lincoln descendants until 1975. Visitors may take guided or self guided tours and see at 1,000-pipe aeolian pipe organ, a gift from Robert to his wife, the Hoyt Formal Garden. the Observatory, the 1903 Pullman car Sunbeam, and Hildene Farm. This is a site on the Vermont African American Heritage Trail and includes an exhibit, Many Voices, highlighting the Pullman porters and the subsequent rise of the black middle class. Hours: Daily, 9:30 a.m.-4:30 p.m. Hours: Wednesday-Sunday, 9:30 a.m.-5 p.m. The Battle of Hubbardton is considered one of the most successful rear guard actions in the annals of American history. A visitor's reception center houses a museum with an exhibit that places this battle into its Revolutionary War context. Strategic points along the Battlefield are marked. An annual reenactment commemorates the anniversary of the battle. Hours: Late May to mid-October, Thursday-Sunday, 9:30 a.m.-5 p.m.
"Silent Cal," America's 30th President was born, buried, and sworn in as President at the Aldrich House, the centerpiece of this restored village. The homes of Calvin Coolidge's family and neighbors, the community church, cheese factory, one-room schoolhouse, and general store have been carefully preserved, and many of the buildings have their original furnishings. The President is buried in the town cemetery. Hours: Late May to mid-October, daily, 9:30 a.m. to 5 p.m. Originally built as a tavern in 1797, the house is now operated as a historic house museum by the Weston Historical Society. Collection includes 18th and 19th century decorative arts and furnishings. Hours: Memorial Day-July 1, Saturday-Sunday, 1-4 p.m.; July 1-Labor Day, daily, 1-4 p.m.
Mount Independence was a fortified position during the Revolutionary War. Several trails on the 300-acre property of pasture and woodland link the remains of the Revolutionary War fortification, like batteries, blockhouses, and barracks. The trails have spectacular vistas overlooking Lake Champlain and the surrounding countryside. Some of the trails are wheelchair accessible. All trails start at the Visitors Center. Open late May through early October, daily, 9:30 a.m. to 5 p.m. Admission: $5. This restored 19th century village offers visitors a detailed look at life in a bygone era. The site includes walking trails, museums, a cheese factory, agricultural exhibits, and even a cross-country ski center in the winter. The original 18th century mill was burnt beyond repair in 1900, but has been authentically reconstructed. Visitors can watch the operation of one of few water-powered mills in New England, milling grain as was done 75 years ago. Tours are offered. Hours: Open July through early October, Saturday and Sunday afternoons, and on Wednesday afternoons through September 7. A Gothic revival home with 17 rooms and 7 additional buildings on the property. This was home to Justin Smith Morrill, who established Land Grant Colleges in Vermont. Visitors will enjoy historical exhibits. Hours: Memorial Day through Columbus Day, Saturday and Sunday, 11 a.m.-5 p.m. Tours are conducted on the hour. The home of America's 21st President, Chester A. Arthur, has been restored. On the grounds visitors will find a 19th century brick church, a picnic area, and a great deal of information about this little-known leader of the U.S. 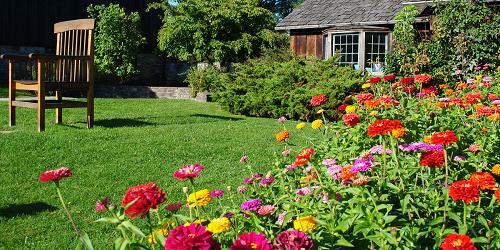 Hours: July 4 through mid-October, Saturday and Sunday and Monday holidays, 11 a.m.-5 p.m.
Park-McCulloughis often described as one of Vermont's jewels. The 35-room house was completed in 1865 for Trenor and Laura Park. This summer home is a classic example of French Second Empire style. Visitors may arrange a tour of the grounds with the adjacent Mile-Around Woods and the Hiland Hall Farms Garden. Hours: Season is May through December, tours of the house are by appointment only; the public is welcome to visit the ground any time during daylight hours. The house is open for special holiday events in November and December. This mansion, built in the mid-19th century, offers a variety of imported, elegant furniture and household items. 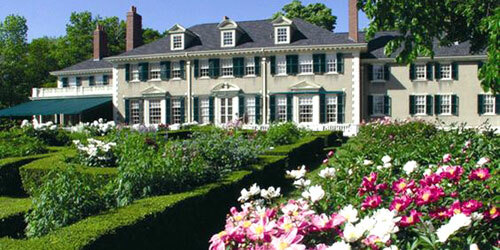 The 115-acre estate is also home to gardens and walkways. Popular Haunted Castle tours are offered during the Halloween season. A production called Murder Mysteries live combines dinner theater, scavenger hunt, and guest participation game. Hours: Memorial day weekend to mid-October, guided tours daily, 9 a.m.-5 p.m. Season finishes with two weekends of Haunted Castle tours. Admission: Adults, $10; children age 6-12, $5.50. The homestead of Vermont's Revolutionary War Hero, Ethan Allen. Built in 1787, visitors can tour the farm and view exhibits related to Allen's life, colonial history and the history of Vermont. The visitor's center also offers a multi-media program about Ethan Allen. Hours: May 9 to October 14, daily except Wednesdays, 10 a.m.-4 p.m. Admission: General, $7; seniors and Vermont residents, $5; children age 3-6, $3. The striking gold-domed Vermont State House commands the landscape of Montpelier, the smallest capital city in America. Hours: Year-round, Monday-Friday, 8 a.m.-4 p.m. except state holidays. Guided Tours available on the half-hour, free of charge, July through mid-October. A 306 foot stone monument that pays homage to the Battle of Bennington. An elevator can take visitors to an observation point. At the birthplace of the founder of the Church of Jesus Christ of Latter-day Saints (Mormons) is one of the world's tallest solid granite spires in the world, erected in 1905. Site includes Visitor's Center with historical art and exhibits, a theater, changing special exhibits, stone walls and bridge. Hours: November–April, Monday–Saturday, 9 a.m.–5 p.m.; Sunday, 1:30–5 p.m.; May–October, Monday–Saturday, 9 a.m.–7 p.m.; Sunday, 1:30-7 p.m. This is the historic tavern where Vermont's first state constitution was written. The museum includes exhibits of New England antiquities. A large interpretive area in the tea room examines the events surrounding the signing of the Vermont Constitution. Hours: Late May 26 through mid-October, Saturdays and Sundays, 11 a.m.-5 p.m. Admission: Adults, $2.50; children age 14 and younger, free. This is the site of Fort St. Anne, the oldest settlement in Vermont. On the shore of Lake Champlain, the site features the remains of the fort, as well as a chapel, grottos, and a statue of Samuel de Champlain. this also is a spiritual attraction, maintained by the Society of St. Edmund, and visited by religions pilgrims. Many rustic grottos around the property are visited for quiet contemplation and prayer. Picnic facilities and an all-purposed building are open. A cafe serves breakfast in July and August. Set atop a hill overlooking the quintessential New England village of Weston, the landmark Church-on-the-Hill has been a fixture in the Vermont countryside for over 150 years. Founded in 1838, it is a “church of all faiths” holding non-denominational services every Summer Sunday. It also hosts a renowned concert series, Sundays on the Hill.